Home > Blog > Ask the Doctor: Sports Physicals? Ask the Doctor: Sports Physicals? 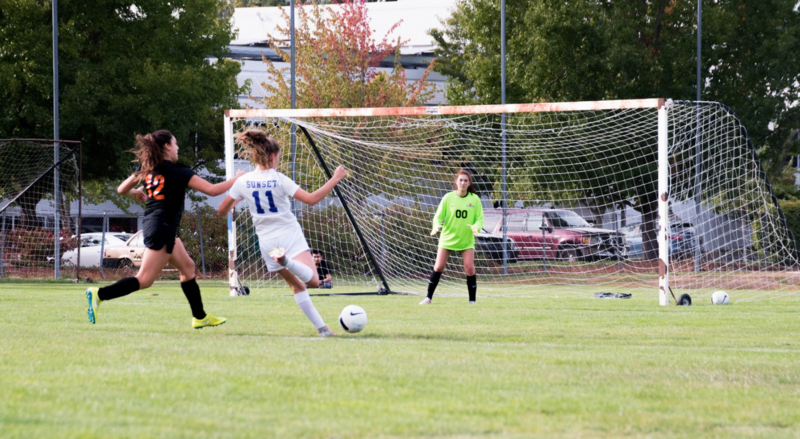 Sports physicals might seem like a formality, but they can be a major key to preventing incidents like a child passing out on a soccer field or, worse yet, experiencing a heart issue during a game. And as the best treatment is prevention, clinics like MedAccess Urgent Care have made it their mission to ensure prevention of sports accidents or complications with affordable and thorough sports physical examinations. Diana Pressey spoke with Dr. Carla Rudolph, a MedAccess urgent care physician, to get the complete picture of sports physicals and how to prepare for one. DP: What is the biggest difference between a sports physical and the typical physical exam? How often should patients get sports physicals? CR: Sports physicals are required annually by most schools and most recreational and team sports. The biggest difference is that an annual physical, a lot of times, will require vaccines and sometimes blood work, and sports physicals don’t really require any additional workup other than a physical exam. So we usually don’t do blood work, we usually don’t do urine samples and we usually don’t do any kind of vaccines in a sport physical; we just examine the patient and make sure that they are fit and healthy for sports. DP: How long does a sports physical take? CR: Usually less than 10 minutes. During sports physicals, they get a big questionnaire of about 20 questions provided by the state of North Carolina or by the recreational team. Assuming that their answers are ‘no’ on all the questions — meaning that they haven’t had recent surgeries, they haven’t had a previous concussion, they don’t have a family history of heart disease, they don’t take medicines on a regular basis — then the sports physicals are very quick. If their answers are ‘yes’ to any of those things, it can be longer, because then they require a more extensive exam and more detail in their medical history. DP: What happens if you find a problem during the physical? CR: That depends on the problem. A big thing that we’re looking for during sports physicals are heart murmurs, because — and it’s very rare — sometimes, kids have heart murmurs that go undetected for years that can actually make it dangerous for them to exercise if they haven’t dealt with it through surgery, medication or monitoring. So, for instance, if we find a murmur, then a lot of times, we’ll do an EKG, we’ll refer them to cardiology, and then we’ll have them come back once they’ve talked to cardiology and the cardiologist clears them, and then complete the rest of their physical. Other things would be if they’ve had more than four concussions in a year, then we’ll talk to them extensively about if they’ve had frequent headaches, if they’ve had visual changes, if they have trouble concentrating — things like that that have to do with the neurological system. And if they are having issues, then we may have to keep them out of sports for a while until they can see a neurologist to make sure that their brain has fully healed from the concussion. So it really varies based on the issue we find. DP: What are the different parts of a sports physical? CR: We go through their questionnaire, then we do a full, head-to-toe physical. We look at their head to make sure they don’t have any lumps, bumps, irregular bruises or bleeding, and we make sure that they have normal hair pattern growth. We look in their eyes, ears, nose and throat; and we check their strength. We listen to their heart; we listen to their lungs; and we push on their stomach and feel their stomach and abdomen to make sure everything seems fine. And then we check their extremities — their arms, legs and reflexes. We check their pulses and their capillary refills and generally make sure everything’s looking fine with an extensive physical. DP: Why are sports physicals important? CR: Sports physicals are really important to make sure that an athlete is capable, medically, of performing the duties. Sports are demanding on the body. They engage a lot of muscles; they require increased heart rate; they require increased breathing; they require an increased oxygen amount used by muscles in all of the body. So it’s really important that we make sure that someone is able to perform the sport that they’re going to do. We wouldn’t want to send someone out that hasn’t been evaluated and cleared for sports, because they may end up with joint injuries; they might end up having underlying heart and lung disease that no one had ever detected before, and then they can’t meet the increased oxygen that’s required for athletic activity. And they can have very scary events happen because of that. They can pass out, they can have increased morbidity and increased mortality, they can have some very long-term, life-threatening problems if they do have underlying heart or lung disease that hasn’t been detected. DP: Are these physicals usually covered by insurance? CR: Usually, insurance does not cover sports physicals. It’s a little bit tricky, because insurances only cover preventative health care 100 percent. In that caveat, the majority of insurance companies only allow one physical year for a healthy child without medical problems once they’re over the age of 12. So usually, they don’t pay for the sports physical, and clinics set fees. MedAccess has made it very affordable, where it’s only $25, because we recognize parents of kids are spending a lot of money on sports equipment and child care, and we want to foster the community’s children being able to play sports. It’s good for their health; it’s good for their mental stimulation; it’s good for their social advancement. So we try to make it really affordable for parents by just making it an affordable flat fee instead of going through insurance, having insurance deny it and then the family getting stuck with a large bill. DP: Why should patients come to MedAccess for these exams, as opposed to other options? CR: We’re open seven days a week. We are dedicated to getting patients in and out and can do so very quickly within 20 minutes to an hour for a sports physical. And you can be evaluated by a physician that’s been trained to do proper sports medical physicals. We also offer after-work and school hours by staying open until 7 p.m. to ensure convenience. DP: For someone who's never had a sports physical before, is there anything they should know their first time getting one? CR: The most important part is that they fill out that questionnaire that’s provided by their team to take with them to the physical. And if they have any ‘yes’ answers to the questions, instead of just checking ‘yes’ on the box, they should get their medical records and additional information from their pediatrician or from their specialist on whatever they checked ‘yes’ on. That way, it’s a lot easier for us to get them in and out of the clinic quickly, and we can make sure they’re getting proper medical care and have been fully cleared by their specialist to engage in athletics.